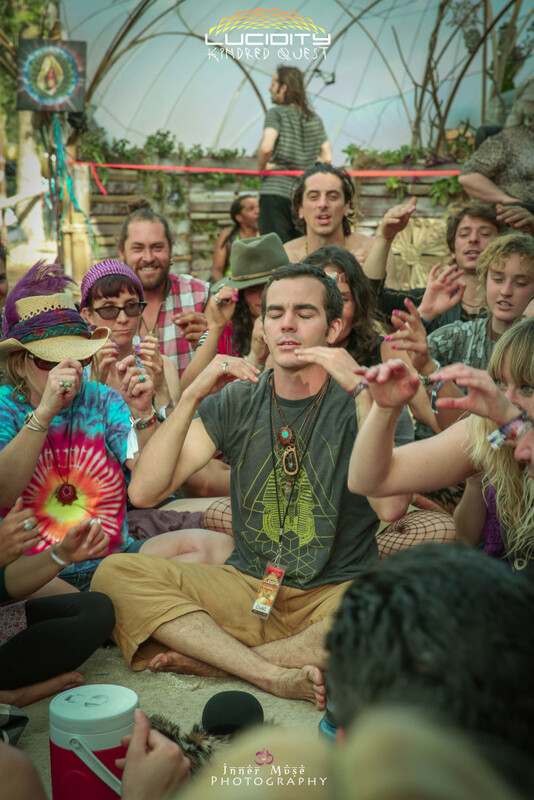 Transformation can take place in many different ways at a music festival. Whether you learn something new from a workshop, deepen your yoga practice with a new pose or take the time to extend a conversation with a new friend; change is taking place all around you and within you. Over the past few years there has been an increased focus on creating a fully immersive experience at festivals, where workshops, music and community all fuse together to shape the attendees experience and provide a multi faceted container for learning and growth. This year Lucidity has gone the extra mile to provide a plethora of top notch workshops that cover everything from Yoga and Meditation to Gender Alchemy and intimacy. Here are 5 workshops you won’t want to miss. Chyla is the founder of Female Rebels, a place where women gather and empower each other. A Santa Barbara resident, she has always been drawn to Yoga and now teaches locally as well. Female Rebels are uniting divine goddesses, creating a haven for rebel hearts to open wing and take flight. Invoking the bodies unique freedom, we share in dance and asana. Journeying deep into the spirit, heart and mind through writing, breathing and meditation practices, connecting to our deepest desires. The group creates space for the manifesting of our wildest dreams! Elements include dance, asana, meditation, writing, sisterhood, Creating, chanting, desire. Courage, freedom. Are just some of the highlights from Walsh’s workshop. Is centered around the question and the current story of love: the belief that we must find “THE ONE”: a partner who will grant our happiness and fulfill all our needs. Filmmaker Ian MacKenzie shares his recent journey to Tamera peace village in Portugal, exploring the foundations the new story in love and sexuality. How might we cultivate communities of trust to support the freedom to love without fear? Whatever your relationship form, monogamy, polyamory or beyond, this workshop will explore the role of the community in healthy partnership. Infused with aspects of Belly dance and yoga, this practice is for women to dive deeper into their bodies, awaken the wisdom in their wombs and bond in sisterhood. Moving with the element, the breath gently warms the body and builds heat. This is the sacred fire that purifies our intentions, activates our heart and allows the brain to release natural happy, feel good chemicals. The guided practice transitions into a free flowing dance that deepens embodied connection to the Feminine in all her forms. Focusing on sharing alchemical botanical essence blends, vaporizing different essential oils, discuss daily uses, sacred anointing, explore the therapeutic value of several essential oils, and discuss methods of application. Through this experiential playshop, participants will learn how to add value to their daily routine using essential oils & alchemical blends sourced & developed through the Docta. Come and experience to the fundamental concepts of musical rhythm prevalent in India and around the world. Using spoken rhythmic words (Bols), rhythmic building blocks (Jatis), hand clapping and body percussion along with stories, demonstrations and movement exercises, Joss guides beginning students through a variety of techniques that allows them to experience the beauty of rhythm.